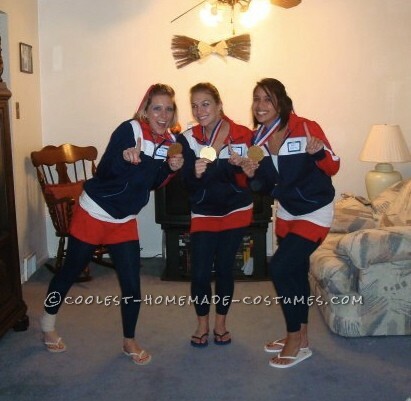 In 2008, a couple of girlfriends and I thought it would be a great idea to bring back some of the 1996 “Magnificent Seven” Women’s Gymnastics team for our Halloween costume. That summer, there were many other Olympians, like Shawn Johnson or Michael Phelps so that is why we decided to go back in time a little. 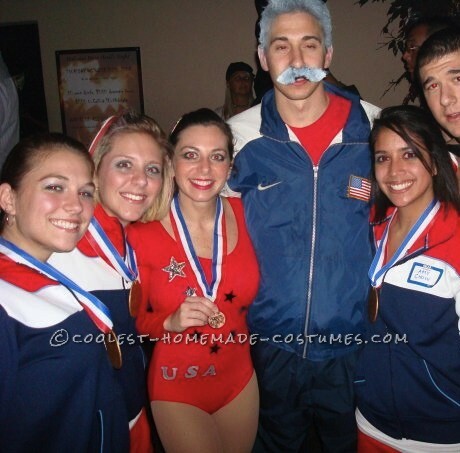 This 1996 Women’s Olympic Gymnasts group costume was one of the easiest costumes we came up with. We found red, white, and blue track jackets at Kohl’s on sale a couple weeks after labor day. We found some red soffe shorts, white tank tops, and navy blue leggins for underneath. To make sure everyone knew who we were, we added little name tags on each jacket. 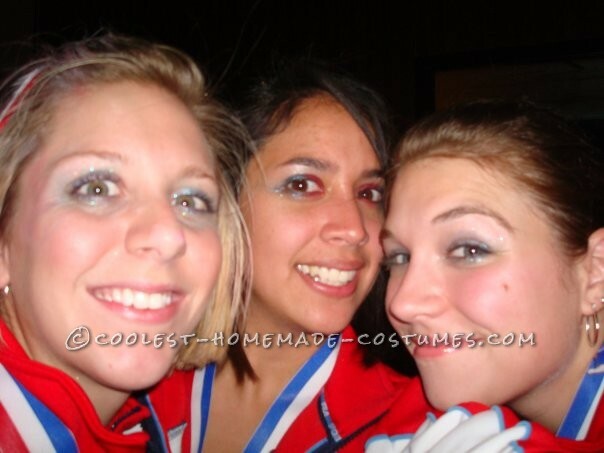 Kerri Strug, Dominque Moceanu, and Amy Chow. While wondering around celebrating Halloween, we ran into our coach Bela Karolyi and another gymnast so we decided to take a team photo!